Please note any Protected Health Information collected on the Website will never be disclosed. • If you are planning for surgery, we can connect you with closed group of patients, who have undergone surgery in past. • For International patients Visa Assistance, Travel and stay is provided. 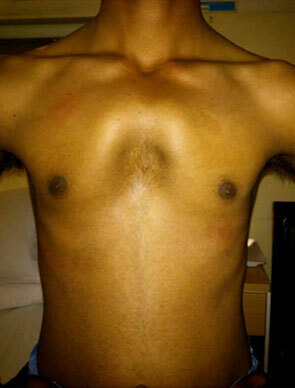 Welcome to the website of Dr. L.M.Darlong, Senior Consultant Thoracic Surgery in New Delhi India. Dr. Darlong's Chest Wall Deformity Clinic deals exclusively with congenital Pectus deformity and acquired chest wall deformity in all age groups. It is one of the few such centers in Asia and only one in India doing surgery routinely.